The Allergy and Asthma Centers are a well established, well respected, multi-allergist allergy and asthma practice with offices located throughout Rhode Island. We are committed to providing our patients with the best and most up to date allergy and asthma care available. The Allergy and Asthma Centers of Rhode Island are dedicated to working with our patients and their families to minimize the effects of allergies and related diseases and to improve their quality of life. A major emphasis is placed on the identification and reduction of environmental allergens that may be contributing to symptoms. As board-certified allergists, we work with you to devise an individualized treatment plan that could also include the judicious use of prescription and over-the-counter medications and allergy vaccines. Alan Gaines, MD* is from the Boston area originally. He has a Bachelor’s in Life Sciences from MIT and an MD from Columbia University College of Physicians and Surgeons in New York City. After training in Pediatrics at Mount Sinai Hospital in New York, he completed an Allergy and Immunology fellowship at Duke University Medical Center in Durham, North Carolina. 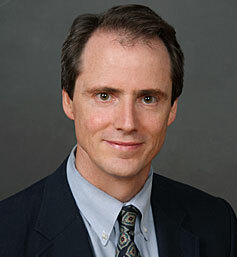 He is Board certified in Allergy and Immunology for both adult and pediatric patients. He has been in practice in Rhode Island since 1988, initially at RIGHA and Harvard Pilgrim Health Care of New England, and has been in private practice with the Allergy and Asthma Centers since 2000. He sees patients at the Cumberland, East Providence, Middletown and Warwick locations. Dr. Gaines is a Fellow of the American Academy of Allergy, Asthma, and Immunology, the American College of Allergy, Asthma, and Immunology, and the American Academy of Pediatrics. He is a Clinical Assistant Professor of Pediatrics at the Warren Alpert Medical School of Brown University, and has staff privileges at Rhode Island Hospital/Hasbro Children’s Hospital and Landmark Medical Center. He has been actively involved with the Jewish Alliance of Greater Rhode Island and with the Boy Scouts of America, and is the proud father of three Eagle Scouts. Robert J. Settipane, MD* earned his undergraduate degree from Brown University where he majored in Biology. He earned his Medical Doctor (MD) degree from New York Medical College, which he attended from 1981 to 1985. He then completed an internship and residency in Pediatrics at the University of Connecticut from 1988 to 1990. Dr Robert Settipane undertook two additional years of fellowship training in adult and pediatric allergy, asthma and immunology through Brown University’s Allergy/Immunology fellowship program at Rhode Island Hospital. In 1991, Dr. Robert Settipane became Board Certified by the American Board of Allergy and Immunology. He was subsequently recertified in 2001. He has been in full time private practice since 1990. He has authored a variety of original research papers including the frequently cited 23 year follow-up of Brown University College students which established allergic rhinitis as a significant risk factor for the subsequent development of asthma. Dr. Robert Settipane sees both adult and pediatric patients with allergic nasal, ocular, lung and skin conditions including asthma, eczema and hives. Dr. Robert Settipane has a special interest is cost effective healthcare and actively seeks to reduce his patient’s healthcare expense in a variety of ways. Russell A. Settipane, MD* is a Clinical Associate Professor of Medicine at the Warren Alpert Medical School of Brown University, Providence, Rhode Island. He is in private practice in East Providence and Middletown. He co-directs the Asthma, Nasal Disease and Allergy Research Center of New England in Providence. In addition to university teaching and his private practice, he is a staff physician at Rhode Island Hospital, Providence, and a member of the consulting staffs for South County Hospital, Wakefield and Newport Hospital, Newport. Dr. Settipane’s board certifications include: diplomate, National Board of Medical Examiners; diplomate, American Board of Internal Medicine; and diplomate, American Board of Allergy and Immunology. 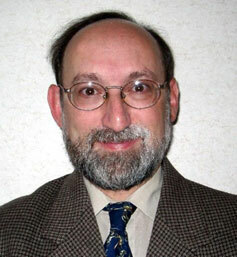 In addition to holding titles of fellowship in the American Academy of Allergy, Asthma, and Immunology, the American College of Allergy, Asthma, and Immunology, and the American College of Chest Physicians, Dr. Settipane is also an associate editor, Allergy & Asthma Proceedings, and a peer-reviewer for several other medical journals. Dr. Settipane has presented extensively at local, regional, and national medical meetings throughout the country; he has made more than 200 presentations. Over the past twenty years, he has been a principal investigator for a wide range of clinical studies. Our staff of registered nurses includes Karen Myers, RN in the East Providence and Warwick offices, Nicole Martino, RN in the East Providence and Middletown offices, Sharon Gaines, RN and Mindy Redlich, RN in the Cumberland office and Rose Rivard, RN in the Middletown office. Our nurses have up to 20 years experience in the field of allergy.